Wii Muramasa: The Demon Blade (USA) "Momohime" in 1:04:59.75 by RachelB. Muramasa: The Demon Blade is a trip through 16th century Japan with cool music, beautiful visuals and fast paced gameplay. Watch as the author introduces you to Momohime, a young princess possessed by an evil spirit who proves quite adept at cutting everything in her path into tiny bits. 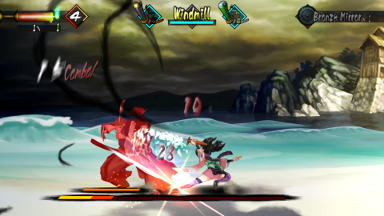 This run is played on the hardest difficulty, in which Momohime only has 1 hitpoint; but that doesn't slow her down at all. Note: There are two published encodes. One is 432p, meant to closely mimic the Wii's hardware, and the other is a higher resolution 720p. The 720p encode is 10-bit and may not play back on some older devices.